Genetic Engineering is the direct manipulation of the coding sequence, or genome, within the cell of an organism. It proceeds by taking genetic information found within the DNA molecule and tampering with it, by inserting new genetic information. The organism that develops from this newly formed DNA strand will typically have different traits and characteristics from those which would have formed from the untampered DNA. The application of this technology has resulted in tobacco resistant to a virus, the Flavr Savr tomato, with its lengthened shelf life, and a variety of crops developed to be resistant to herbicides. This week’s episode of the Global Research News Hour features contributions by Saskatchewan-based writer, researcher and former Saskatchewan Green Party leader Sandra Finley, bio-diversity activist Vandana Shiva, and writer and geo-political analyst F. William Engdahl. The public generally resists knowingly consuming foods made from genetically modified organisms (GMOs). Much of the controversy around GMOs rests in the ability of biotech companies like Monsanto to patent them and charge royalties for their use. For millennia, farmers have saved seeds and replanted them year after year. Now, farmers on top of other stresses around climate, controlling pests and coping with global competition must contend with a model of agriculture that increases their overhead while compromising the sustainability of their yields. How do the laws of supply and demand economics come into play when there seems to be no public appetite (pardon the pun) for this technology? Sandra Finley touches on her observations in the changes in farming and community life in rural Saskatchewan as a result of the introduction of modern chemical intensive agriculture methods. As well, she outlines the corrosive effect biotech partnerships are having on research in our universities. Vandana Shiva, scientist, author, ecologist and outspoken critic of GMOs speaks about impacts in the developing world, particularly India, where farmers have had biotech seeds imposed on them and in desperation are taking their own lives by the tens of thousands. 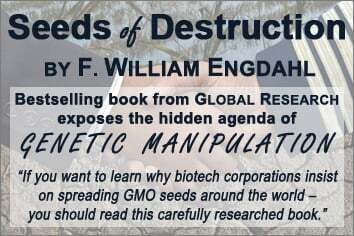 William Engdahl is the author of the 2007 book Seeds of Destruction: The Hidden Agenda of Genetic Manipulation. 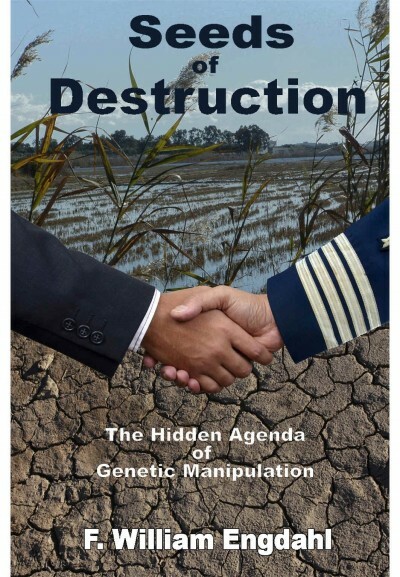 He outlines GMO agriculture’s links to eugenics, the Rockefellers and a motivation to corner the market on food production.